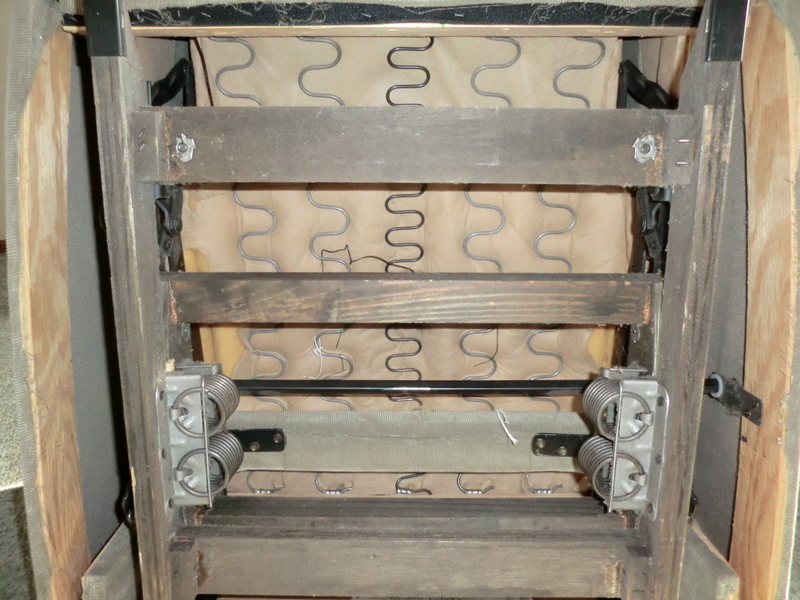 I was shocked when I realized I posted about the broken spring in my recliner on November 26, 2012, http://wp.me/pKNzn-ke. My temporary fix was supposed to be for a few weeks or a month. I just kept procrastinating. My temporary repair on the broken spring. It wasn’t until November 22, 2013 that I made it up to Gilbreath Upholstery to pick up replacement springs. He recommended that I replace all of them. The new spring is in the center. When we put the new one on, it felt like a new chair! 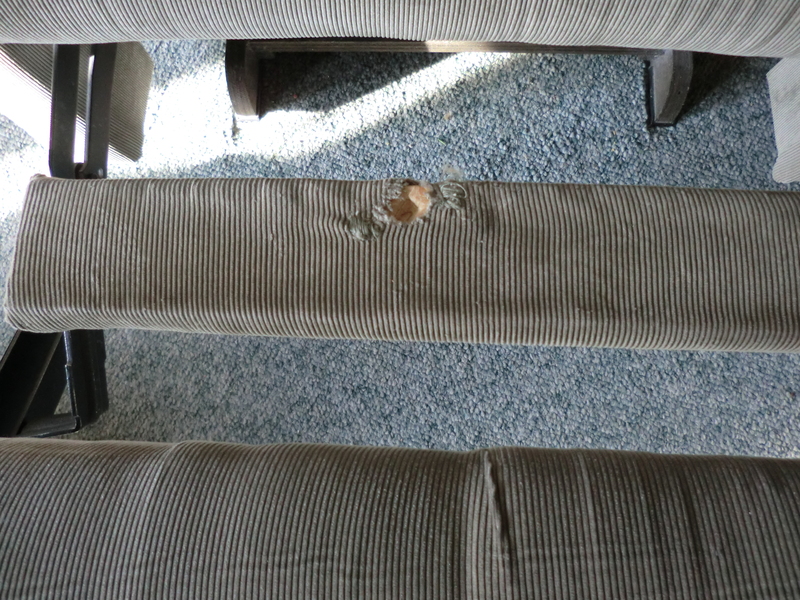 Unfortunately, that year took its toll on another part of the recliner as the broken spring kept poking it. 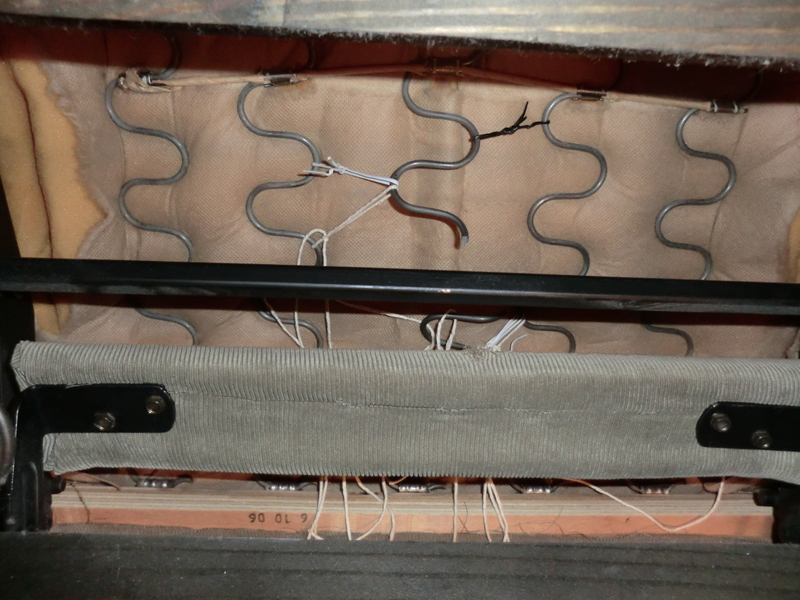 The broken spring put a hole in the board between the foot rest and the seat. This entry was posted in Furniture, Important Things, Maintain It, Repair and tagged Furniture, Important Things, Maintain It, Repair It by Frugal Fish. Bookmark the permalink.